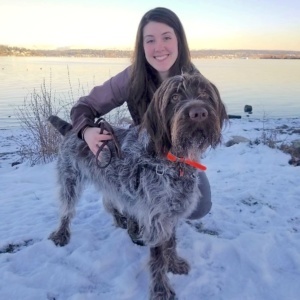 Roux is a Wirehaired Pointing Griffon who is in training to become a trailing dog. Like most WPG's he has a perpetual smile hidden under his mustache and more than enough energy to drag his handler anywhere the scent trail leads. Morgan joined King County Search Dogs in 2018.